Nivin Pauly's upcoming film Sakhavu is slated to release soon. Written and directed by actor-turned-director Sidhartha Siva, Sakhavu is produced by B Rakesh under the banner of Universal Cinema. A campus-political entertainer, the film stars Gayathri Suresh, Aparna Gopinath and Aishwarya Rajesh in lead roles. Veteran actor Sreenivasan essays a significant role in the film. Malayalam films generally promote through reality shows on Malayalam TV channels. But in the case of Sakhavu, makers planned a unique way as a road show was conducted from Thalasserry to Vadakara on Monday with Nivin Pauly and other team members. "The role of a political leader was always in my bucket list. I have portrayed many roles in films, but Sakhavu Krishnan will be one of my challenging roles. I have tried my best in this film. The audience can see a honest leader in Sakhavu. I'm glad that the promotions of the film started from Thalasserry itself". Nivin Pauly will be seen in dual roles in Sakhavu as comrade Krishnakumar and yesteryear revolutionary Sakhavu Krishnan.The film also also stars Joju George, Maniyanpilla Raju, Binu Pappu and KPAC Lalitha. 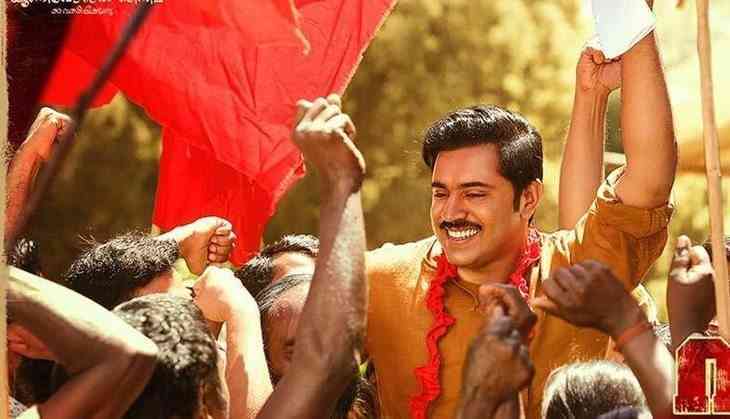 Sakhavu is slated to be released on April 14, on the occasion of Vishu.